Kaiapoi’s Marcus van Klink has recorded a fantastic runner up in the Otago Classic Rally, which also doubled as round two of the Brian Green Property Group New Zealand Rally Championship, over the weekend. A star studded line up saw van Klink and co-driver Dave Neill facing opposition from current World Rally Championship star Hayden Paddon and former WRC star Alister McRae as well as the usual battle amongst the top local classic competitors. The challenge for a podium finish didn’t get off to a good start when an engine mount broke, allowing the air cleaner housing to fracture the brake fluid reservoir, which meant van Klink was left with no brakes from the opening stage. Despite that, van Klink recorded the third fastest time on the opening stage. After incurring time penalties with a makeshift fix between stages that would drop them to seventh, van Klink pushed the Chesters Plumbing Supplies Mazda RX-7 forward through the field, moving the still disabled vehicle up to fourth by the mid-day service. By days end when the team were able to fix the engine mount and put an end to the brake problems, despite a now traditional spin on the tarmac super special stage for van Klink. Day two saw van Klink able to bring his ‘A-game’ and when McRae punctured in the day’s second stage, van Klink was able to take advantage and move into second place, a position he was able to hold to the end of the event. 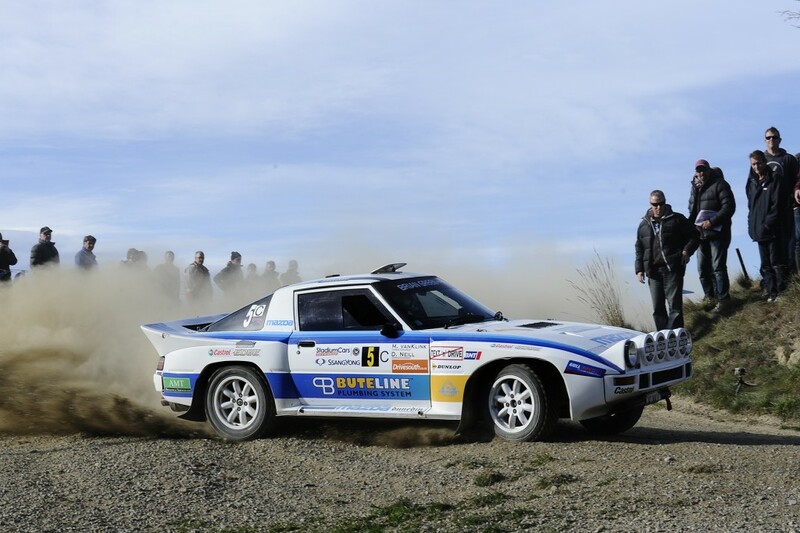 The Klink Rallysport team now head to their home event, Rally Canterbury, on May 30-31, still holding down the lead in the NZRC Historic class.